BOZEMAN — Tucker Yates is so tough, he pinned his way his third straight heavyweight wrestling state title with a torn pectoral muscle. 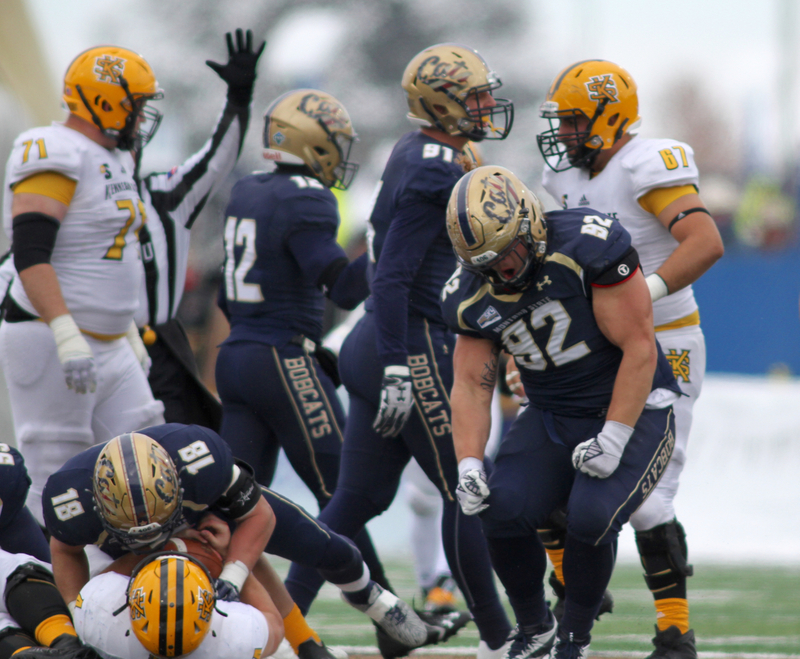 For a brief moment during his Montana State career, the Bobcat captain felt he had to prove his mettle all over again. 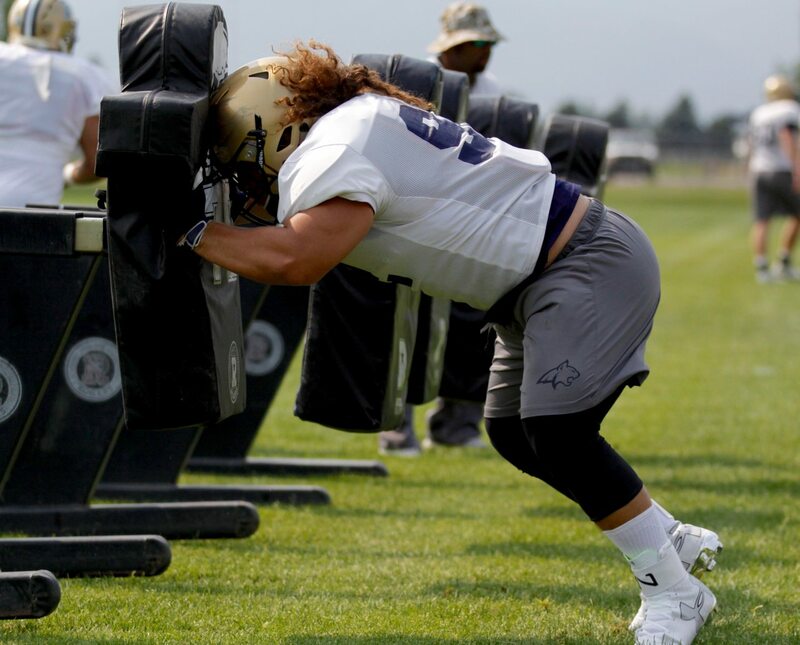 From the times grappling with his older brother in the backyard in Chinook, Montana to performing linemen drills with his father when he was in third grade to carving out a reputation as one of the Treasure State’s most physical prep athletes, Yates has always been known for his fortitude. A stout, square 6-foot, 300-pound frame paired with a rich baritone voice helps perpetuate his persona of a tough guy. 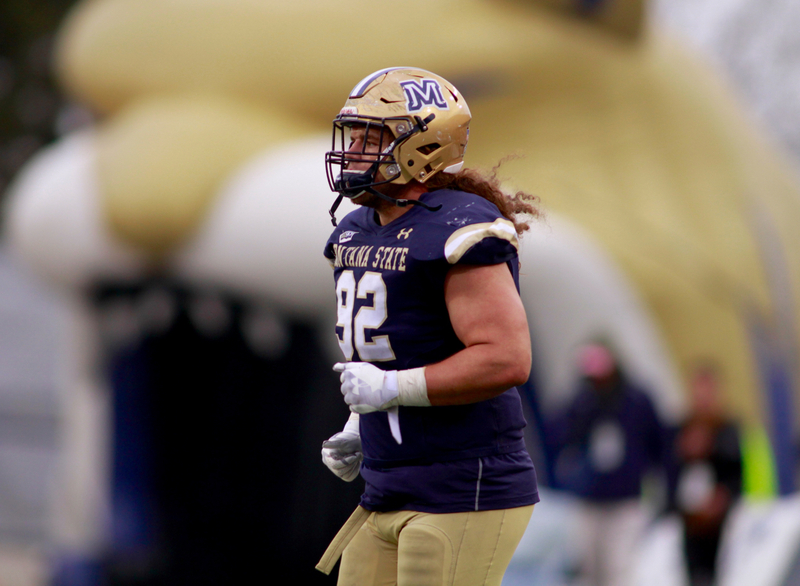 His prodigious strength in the weight room and his ability to knock opposing offensive linemen on their heels at the line of scrimmage helped him crack Montana State’s starting lineup on the interior of the defensive line as a redshirt freshman in 2015. 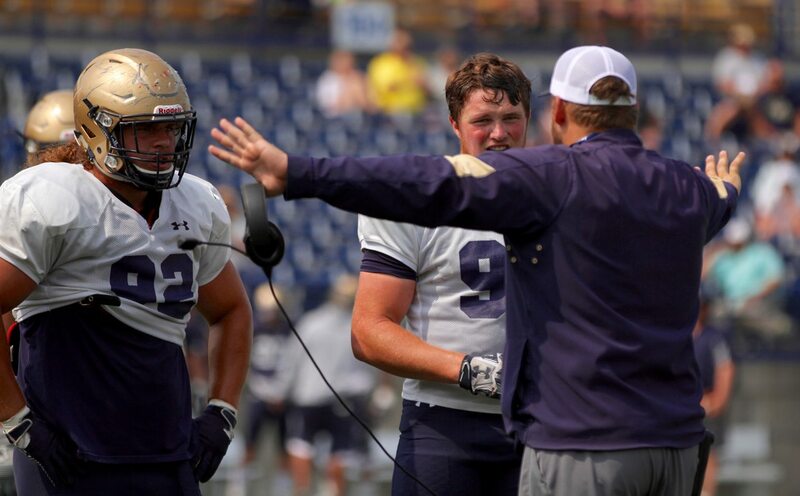 In Jeff Choate’s first season as Montana State’s head coach, Yates began to feel his reputation slipping. He is the first to admit he “might have been getting complacent” under former head coach Rob Ash and his staff. Yates started the first six games of the 2016 season before suffering an injury that cost him two starts and slowed him down the stretch. 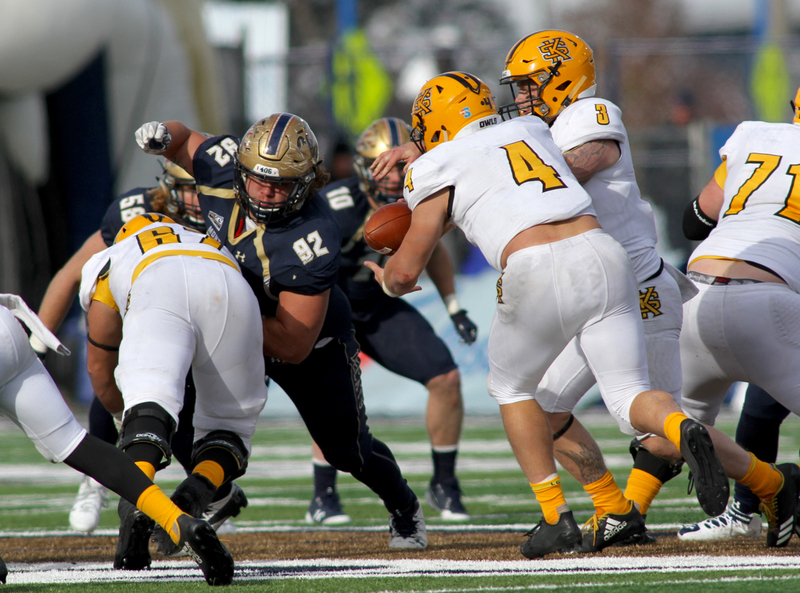 “I got hurt right away and then I thought Choate and the coaches thought I was hurt all the time,” Yates remembers two years later as he prepares for his final showdown with the rival Montana Grizzlies. “They brought in two new nose guards (junior college transfers Brandon Hayashi and Fou Polataivao) and I think they were trying to get rid of me to be honest. I think they thought I was a soft, chubby guy but they literally didn’t know me. But that ignited me. I showed them I could play and I showed them who I was. For the past two seasons, Yates has certainly been the man for the Bobcats. The off-season leading up to the 2017 season, Yates spent the summer working in a lumberyard. 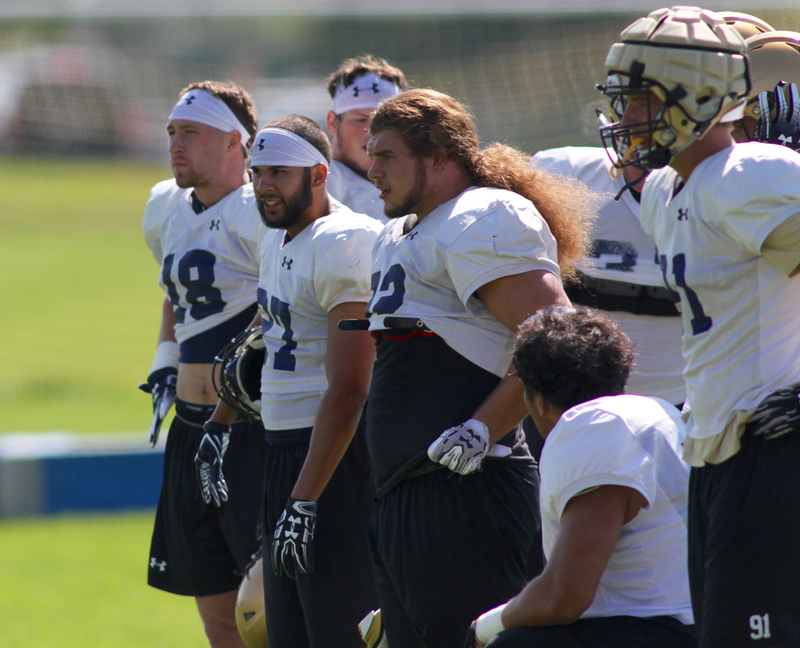 The manual labor combined with an improved diet helped the once 315-pounder report to fall camp at 290 pounds. The reduction in mass came with an increase in durability, helping Yates start all 11 games last season. 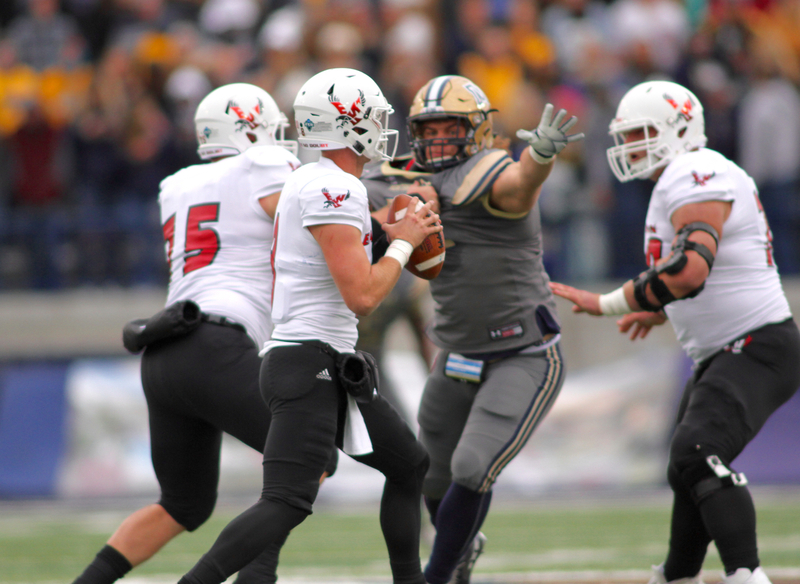 He earned honorable mention All-Big Sky honors while sharing Montana State’s Joe Tiller Defensive MVP award with fellow defensive tackle Zach Wright. This season, Yates has been even better. 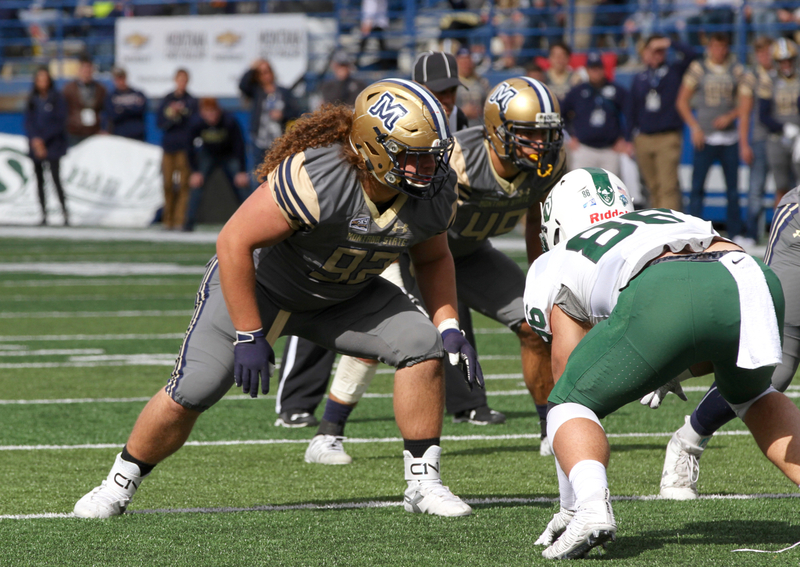 After missing the first game of his senior season because of suspension, the fifth-year senior has been the best pure nose guard in the Big Sky Conference. He enters his final Cat-Griz game on Saturday with 38 tackles, including 7.5 tackles for loss. 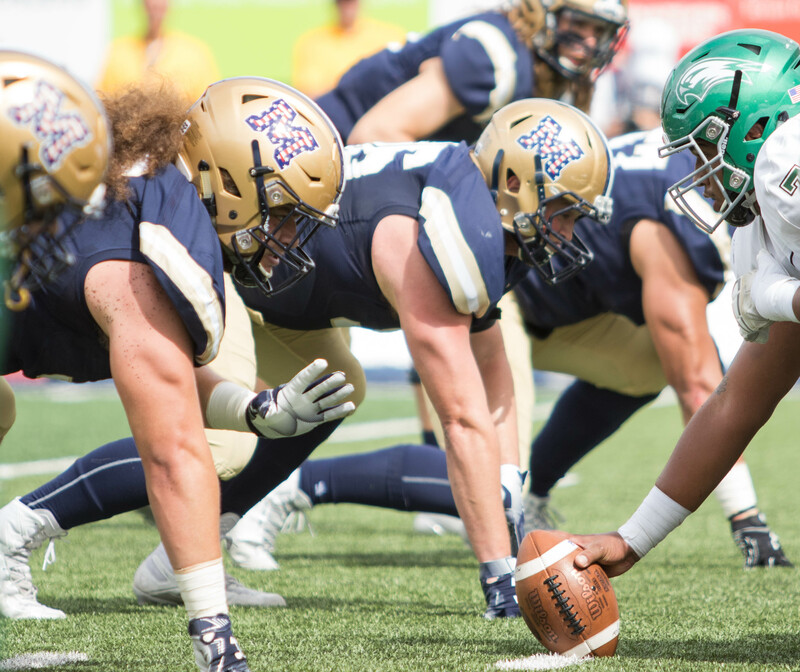 His ability to displace offensive linemen and keep other key members of MSU’s defense clean has been essential for a Bobcat team that sewed up its first winning season since 2014 last week. “He’s able to do things physically that I don’t know if we have another guy in our program that can do that, who can just pick another guy up, move him, displace him, throw him,” MSU third-year defensive line coach Byron Hout said. “The mental part of it is almost more impressive. There’s certain things you do scheme-wise, whether it’s based off a formation or a tendency that an offense might have and Tucker is a guy who knows that, figures it out and it we ever want to run a stunt or change up our defense, tweak it from week to week, I don’t need to call that a lot of times. Tucker can go out and call that and know when to not run a stunt rather than run a stunt. 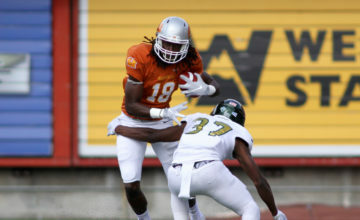 Entering this season, Yates earned a spot on the preseason All-Big Sky team. 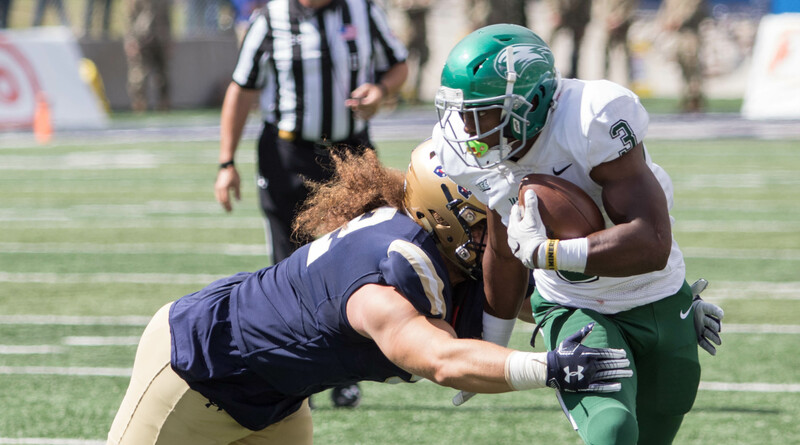 His play has turned heads around the Big Sky this season as well. While he seems to have the inside track to all-conference honors in his final season and his athletic career has been decorated since he first started at Colstrip High School, Yates has been fighting an uphill battle for athletic respect for quite some time. Growing up in Chinook where Tucker’s dad, Stacy Yates, was the head football coach, Tucker remembers his father bringing home football equipment like pads, helmets and blocking pads for him and his older brother, Tanner, to do tackling drills with in the family’s back yard. When the family moved to Colstrip and Tucker started competing for the Colts, he stood out in three sports right away. As an offensive and defensive lineman, he earned all-state honors three seasons in a row. As a wrester, he claimed the Montana Class B-C heavyweight state title his sophomore, junior and senior years, pinning his way to the title in 2013 despite suffering a torn pec early on in the state tournament. That wrestling background has carried him far while playing in the defensive trenches of Division I football. 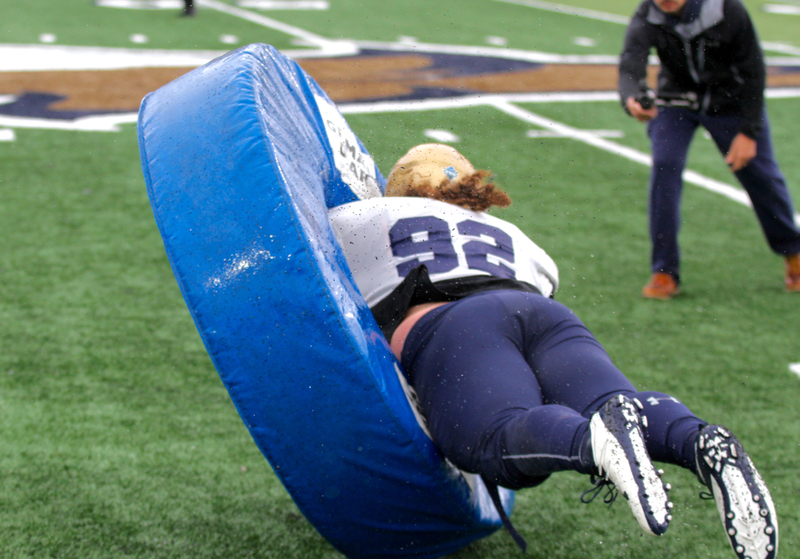 “People always say that wrestling is great for O and D-line played and I think it really is,” Yates said. “Feeling people’s leverage and knowing how to throw people…in football, you don’t think you throw but you really do. Throwing o-lineman, getting your hand leverage, feeling when you can use their leverage against them is really good. In the spring, Yates was a standout shot put thrower, earning a pair of state championships. But his recruitment had hard time gaining much traction. Montana offered Yates a stipend for books, essentially asking the Great Falls Tribune Super-State selection to walk on. Montana State offered a partial scholarship. 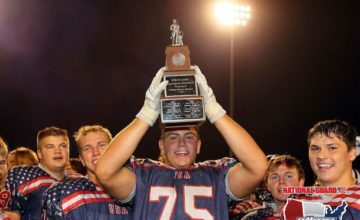 When Yates wasn’t competing in football, wrestling or track, he was hitting the weight room for what he and his most dedicated friends called the “8 o’clock club”. At 8 p.m. each night, Yates and a few teammates would meet up with Stacy at the Colstrip weight room to pump some iron. 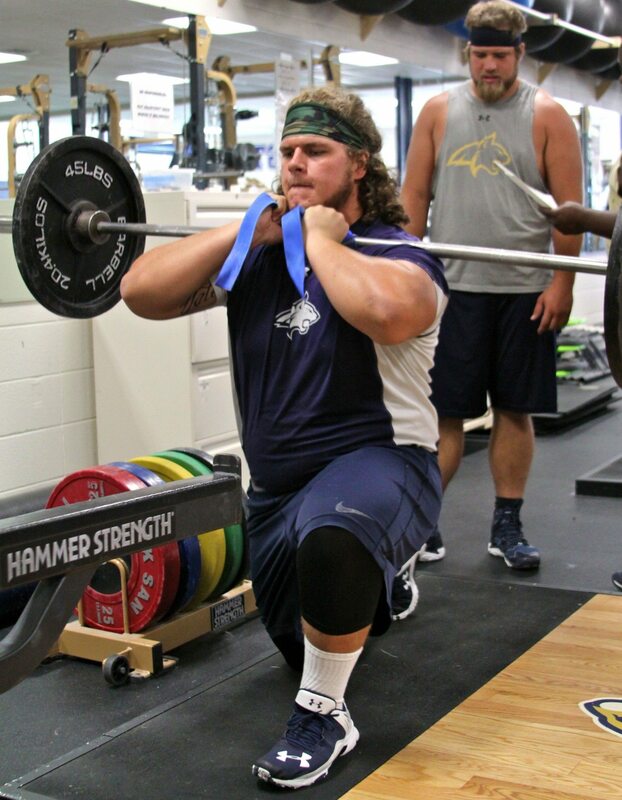 “I love the weight room,” Yates said. “My dad took me in the weight room at a young, young age. He would mainly be bencher — he’s a big bencher (with a top max press of 485 pounds) — and he would go in there for fun, stay in shape and he had a benching partner. Really strong is an understatement. 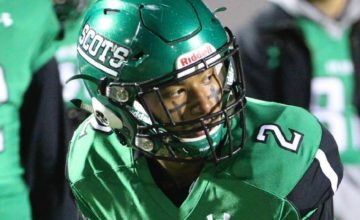 He benched as much as 435 pounds his senior year of high school but has never tried that much again after the torn pectoral injury. He has “hit a triple” at 405 pounds, pounding out three repetitions with four 45-pound plates on each side of a 45-pound bar. 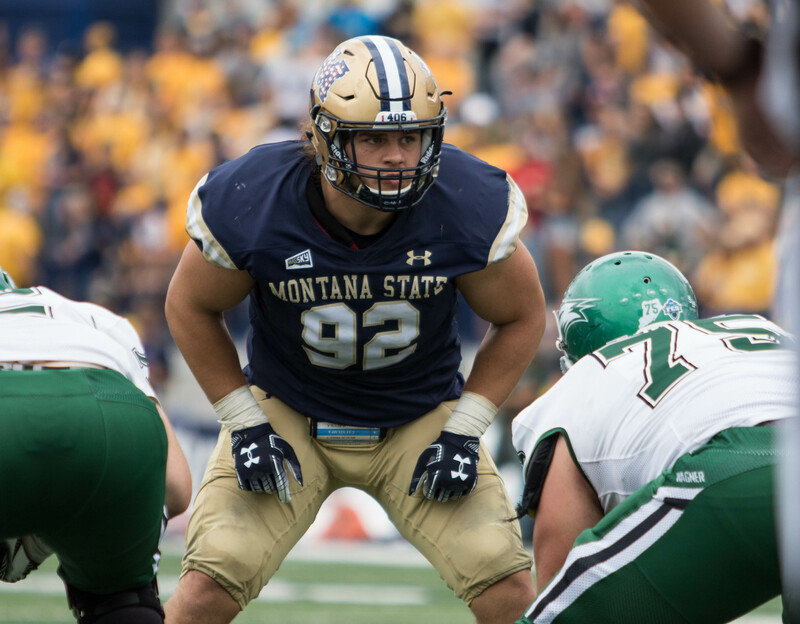 In high school, Yates could squat 505 pounds, a number that he’s bumped up to 585 pounds for three reps and 605 pounds for one rep.
His dedication and affinity for the weight room helped Yates go from partial scholarship recruit from a Class B school to a player who will start his 33rd game on Saturday afternoon in Missoula. The lessons he learned from his father and brother helped him gravitate toward pumping iron. The motivation of being overlooked has also been a driving force for Yates. 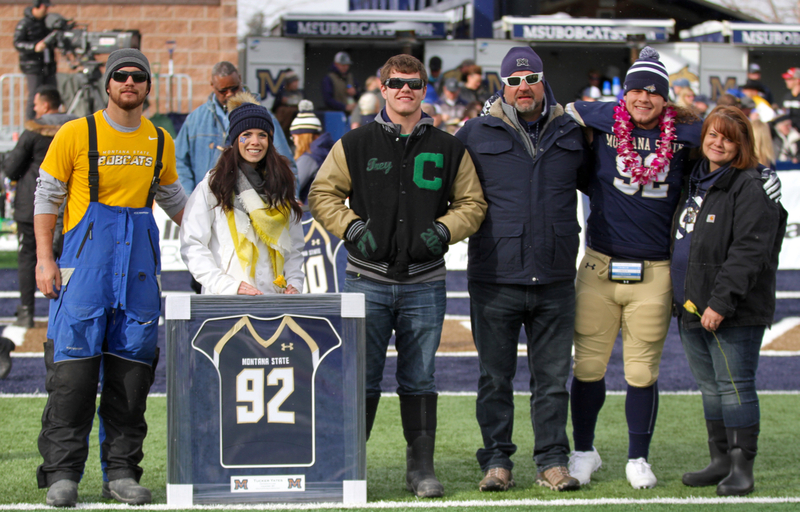 The last few summers, Yates has taken about 10 teammates to Colstrip to host a football camp in the help of his father. That coaching experience might foreshadow his future. Before any of his future comes into clearer view, Yates is squarely focused on the task at hand. He remembers sitting in the Washington-Grizzly Stadium stands as a redshirt freshman in 2014 watching the Griz destroy Montana State. He remembers the following year losing in Bozeman, the final straw in the coaching change that ensued. 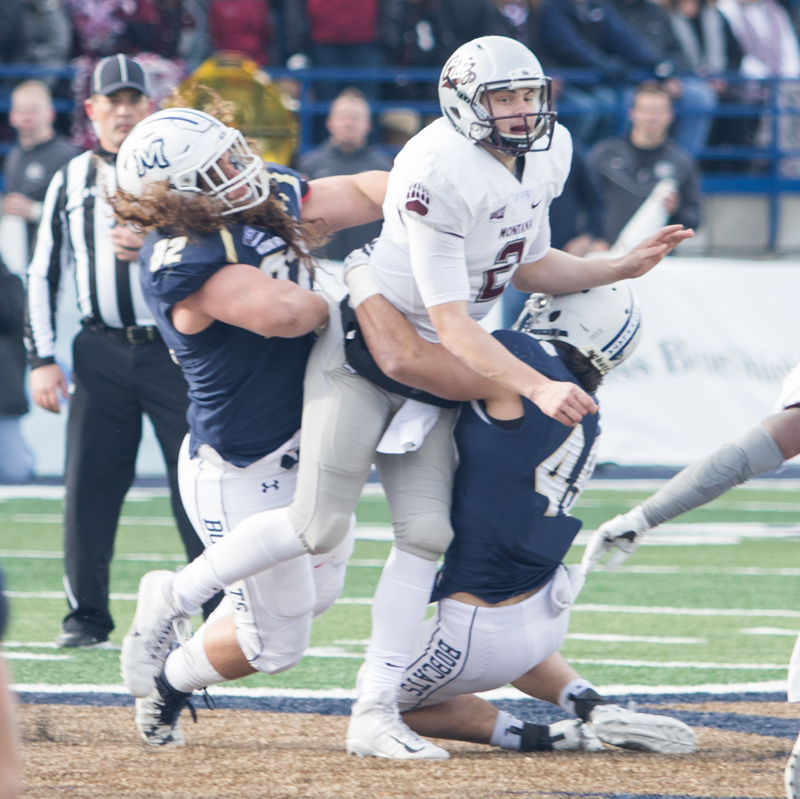 And Yates vividly remembers MSU’s 24-17 win in Missoula in 2016, an upset for the ages that led to MSU’s first win in Bozeman since 2005 last season. 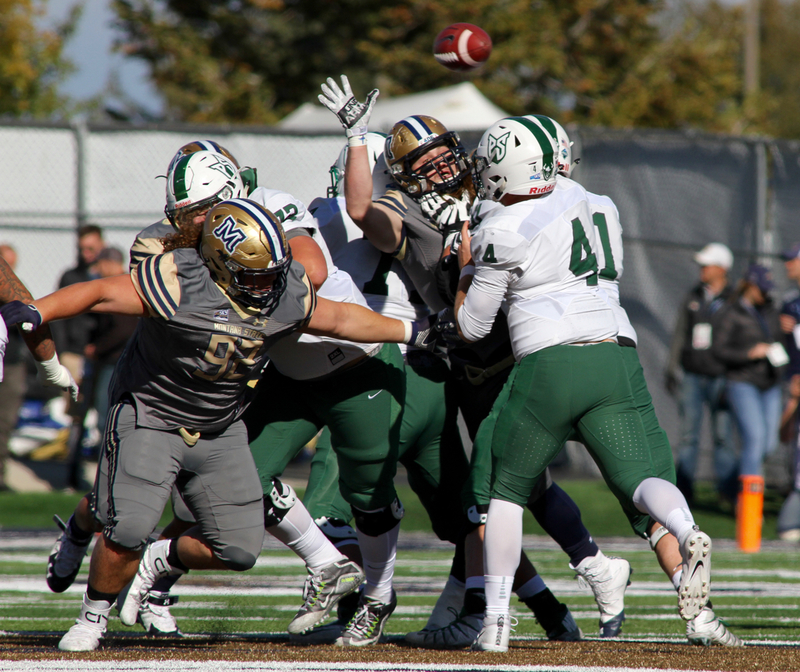 On Saturday in Missoula, Yates and his teammates have a chance to become the first Bobcat team to win three straight over their rivals since 1983, 1984 and 1985. The significance is not lost on Yates as his final days as a Bobcat wind down. “My dream when I was a kid was to play in this game, honestly and now it’s a dream come true,” Yates said. “I’ve been watching it my whole life, my family, my grandparents all always watch the game. We made it a point to watch it every year. Now playing in it is so special to me. Brooks Nuanez contributed to the reporting of this story. Photos by Brooks Nuanez & Jason Bacaj. All Rights Reserved.